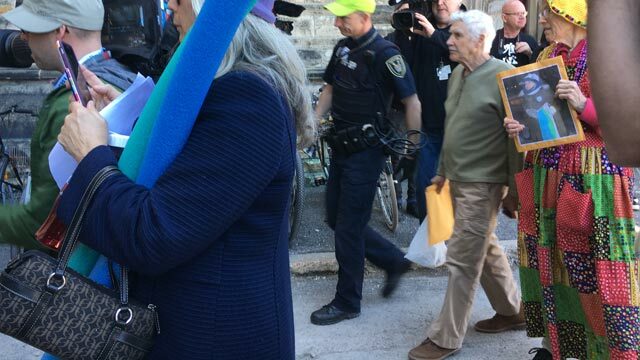 At least one land protector was arrested, and a number of others were detained during a rally on Parliament Hill Monday in opposition to the controversial Muskrat Falls hydroelectric project in Labrador. Marjorie Flowers, an Inuk woman who travelled to the protest from Happy Valley-Goose Bay Labrador, was handcuffed by the RCMP Monday. She was the only one taken into custody. Flowers was previously jailed for refusing to agree to stay away from the construction site. A number of other people who joined the rally were detained by House of Commons security staff. 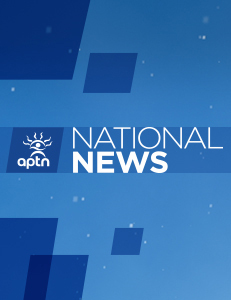 Among them were, Eldred Davis from Goose Bay, and Jim Learning, a councillor for the NunatuKavut Community Council which represents Southern Inuit of Labrador. Like Flowers, Davis and Learning were sent to a prison in St. John’s for refusing to stay away from the Muskrat Falls constructions site. They were released along with the other detainees and banned from Parliament Hill for 90 days. “As a law-abiding citizen I expected nothing like that,” said Learning after he was released. Flowers was also released but it is not clear whether she faces any charges. People in the group said they had not given Canada free, prior and informed consent for the Muskrat Falls project. The $12.7-billion dam is nearly complete, but that didn’t stop about 30 people from rallying against the potentially harmful effects of methylmercury poisoning on those living downstream from the project. “They’re talking reconciliation with First Nations and First people of Canada, yet they’re funding megaprojects like Muskrat Falls and the pipeline in Alberta. So make up your mind. 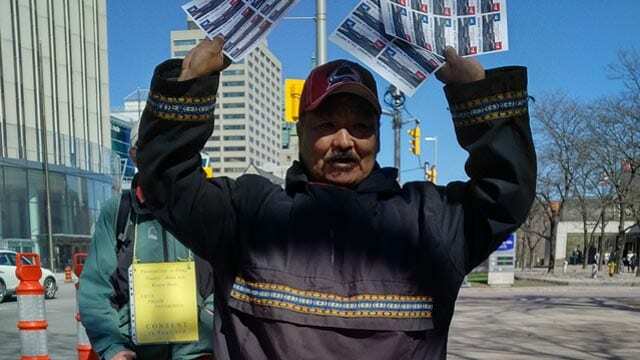 Are you helping us or poisoning us?” said Angus Andersen, of Nunatsiavut who travelled to Ottawa for the rally. The Trudeau government has pledged $2.9-billion in loan guarantees for the mega-dam. That’s in addition to the existing $5-billion loan guarantee from the previous Harper government. Prime Minister Justin Trudeau has also said he will provide financial support to salvage the Trans Mountain pipeline expansion project, which increases the flow of diluted bitumen from Edmonton to Burnaby, B.C. The crowd tried confronting Trudeau at his office, but security ordered them to leave. They then walked to the front steps of Parliament Hill where they addressed Yvonne Jones, parliamentary secretary to Minister of Crown-Indigenous Relations and Northern Affairs Carolyn Bennett. Jones said it was important for everyone to have their say, while also noting that Bennett previously sat with the Muskrat Falls water protectors to hear their concerns. An independent advisory committee recently released a report on how best to mitigate the risk of potential methylmercury poisoning from the Labrador dam. The recommendations include a special fund to guarantee continued access to local food if methylmercury exposures exceed thresholds. 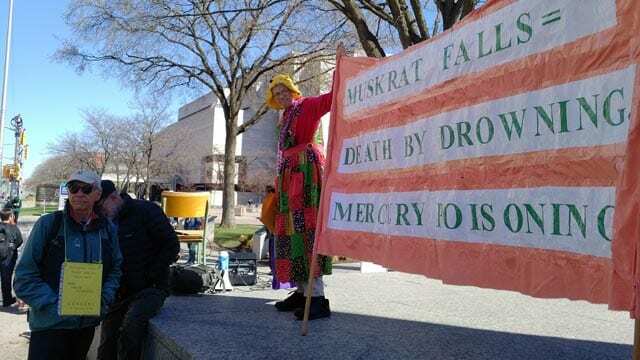 A similar day of action against the Muskrat Falls dam also took place in Halifax, St. John’s, Winnipeg, Mississauga and Goose Bay.